MVI awarded their annual Heinz Award for Community Service and Regional Partnership Award, while each CDC selected their own awardee for Community Partner of the Year. 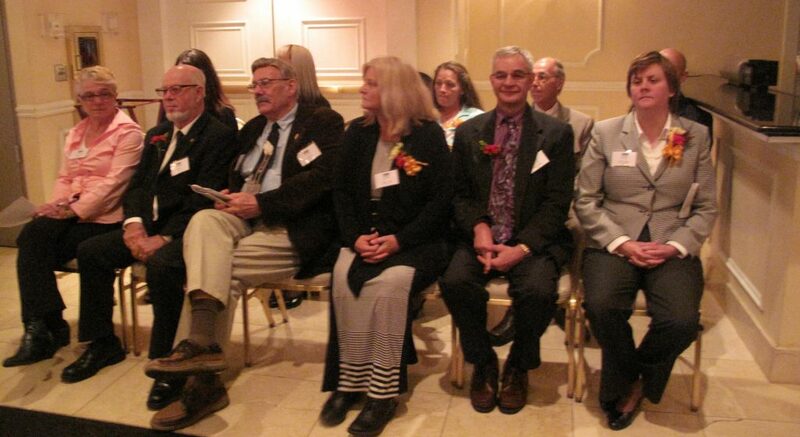 Pictured above are several of the CDC awardees and those presenting the awards. The MVI Holiday Party was held on Thursday, December 11 for members of the MVI Board of Delegates, CDC members, staff, and friends of MVI. Food, music, and merriment made up these several hours of fun! Pictured above are members of North Braddock Cares, Inc. and the MVI Controller (left to right): Vicki Vargo, April Hoover (Controller), Chris Mecklas, and Jan Kazlauskas. The Braddock Economic Development Corporation (BEDCO) hosted a Community Cleanup Day on Saturday, August 2. Clean up days promote responsibility and pride in the community. Downtown West Newton, Inc. (DWNI) held their 13th Annual Miracle on Main Street celebration, A Dickens Village, on Saturday, November 29. 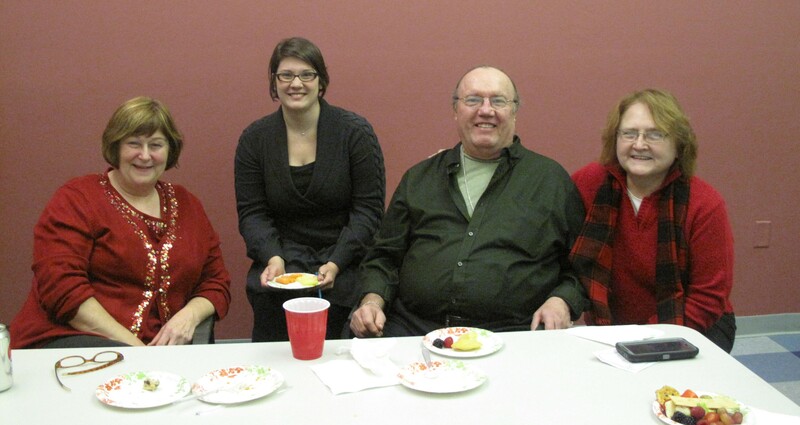 This event was jam-packed with food, events, and holiday cheer from 3-8:30pm! The East Pittsburgh Economic Development Corporation (EPEDC) partnered with Restore to Grace church to put on the first Community Unity Festival on Saturday, September 20 at the site of their newly-installed basketball hoops at Quarry Field. At this event there were games, food, a basketball tournament, health awareness information, and an opportunity to meet community leaders. The Greater Charleroi Community Development Corporation (GCCDC) participated in and sold walking tacos at Charleroi’s Community Day in June, giving residents a chance to learn more about the CDC while munching on a tasty snack. The Homestead Economic Revitalization Corporation (HERC) partnered with UNO Pizzeria & Grill to hold successful fundraiser for their organization on Saturday, July 12. Invitees and others coming to UNO for a meal that day got to learn about HERC while enjoying great pizza! The Monessen Community Development Corporation (MCDC) partnered with the Monessen Hilltop VFD 81-2 to bring residents together for a free Dallas Marks concert on Sunday, August 10. North Braddock Cares, Inc. (NBC) was the fiscal sponsor for the 2014 Gardweeno Project, a garden project designed and maintained by tweens, supported by the Hive Fund for Connected Learning at The Sprout Fund and the Braddock Youth Program. Gardweeno is an inspirational site for youth to grow as leaders and decision makers, to get hands on experience with Science Technology Engineering Art and Math (STEAM), and to learn positive strategies for constructive engagement with their surroundings. The Rankin Community Development Corporation (RCDC) hosted their 7th Annual Jazz Brunch & Vocal Contest at the Rankin Christian Center on Saturday, October 4. Door prizes and delectable food by Chef Kevin McGuire made this fundraiser a hit with the Rankin community! The Swissvale Economic Development Corporation (SEDCO) completed their inaugural season of the first Swissvale Farmers Market, granted an extension to continue being held on Saturdays several weeks into November. The Farmers Market was voted Best Farmers Market by Pittsburgh A-List, and the woman who came up with the idea, Joylette Portlock, was recognized for her contribution as the SEDCO Community Partner of the Year at the 2014 Annual Dinner. The Turtle Creek Development Corporation (TCDC) got their name out in the community this year with the re-established publication of their quarterly newsletter, The Turtle Creeker. They also funded the development of a new Turtle Creek Borough website, working with Mayor Kelley Kelley to find a web developer and to get the site up and running. 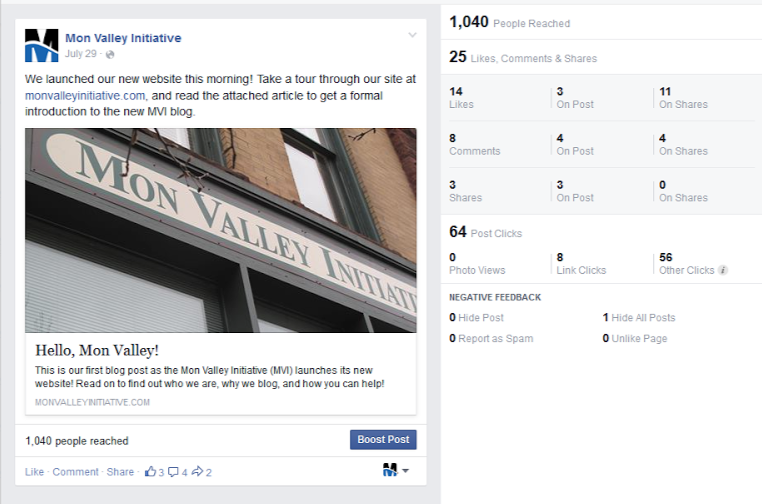 Along with the launch of MVI’s new website in July 2014, the Outreach team began producing blog posts (like these) to give our readers a better look into our organization. 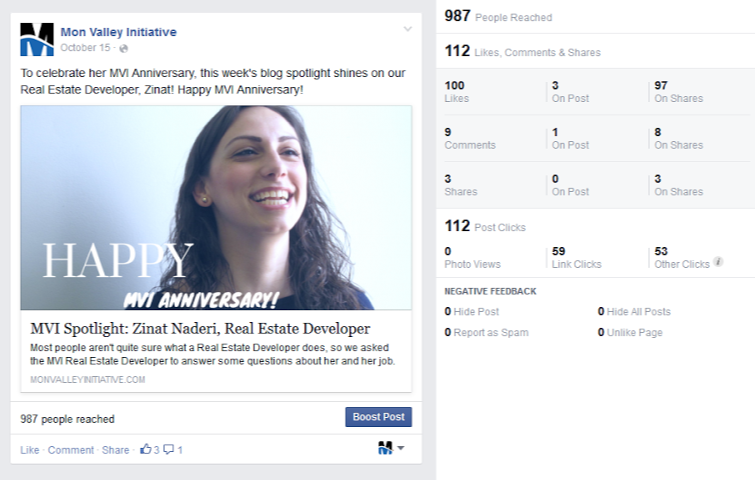 Since the kickoff of the blog, they have posted 24 blogs and the blog has had over 400 views. 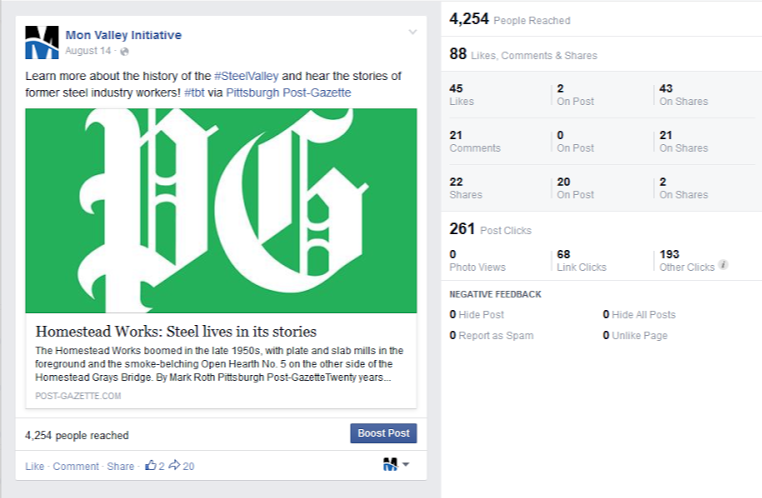 Find us on Facebook, Twitter, LinkedIn, and Google+ to see more! Find out more about the Community Outreach Program on our website, and give your support by donating online for our Annual Appeal!